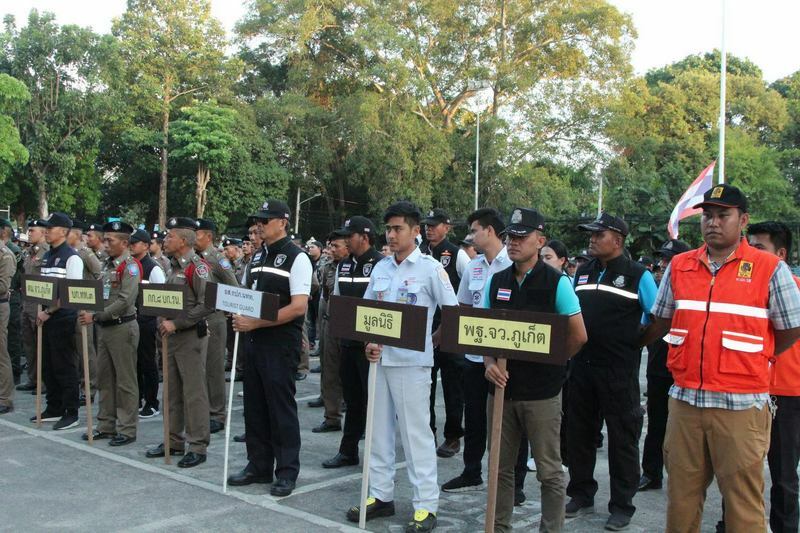 PHUKET: A total of 245 Phuket police, law-enforcement officers and volunteers assembled at Phuket City Police Station in Phuket Town yesterday evening (Mar 11) to receive their orders to suppress crime and keep the peace as the country goes to the polls on March 24. 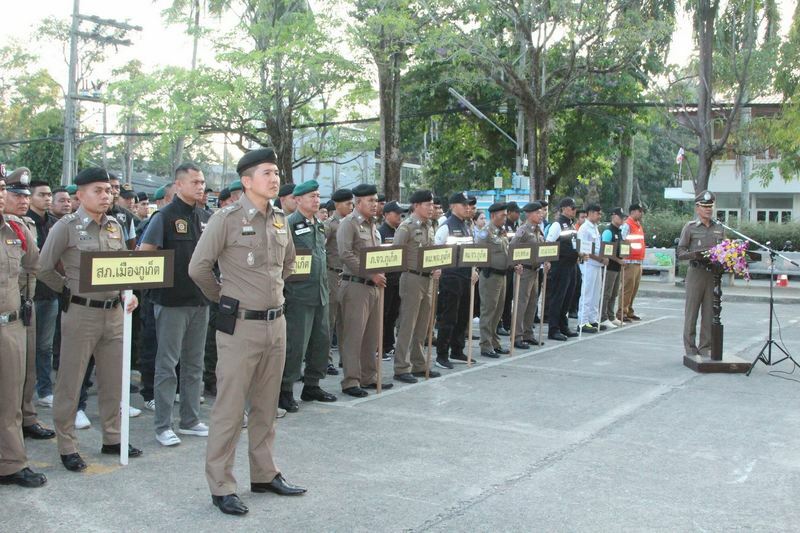 The assembly, held at 6pm, marked the launch of the campaign, titled "Protect the People Phuket Provincial Police”. Phuket Provincial Police Commander Maj Gen Wisan Panmanee, presided over the assembly, accompanied by Phuket Vice Governor Thanyawat Charnpinit. 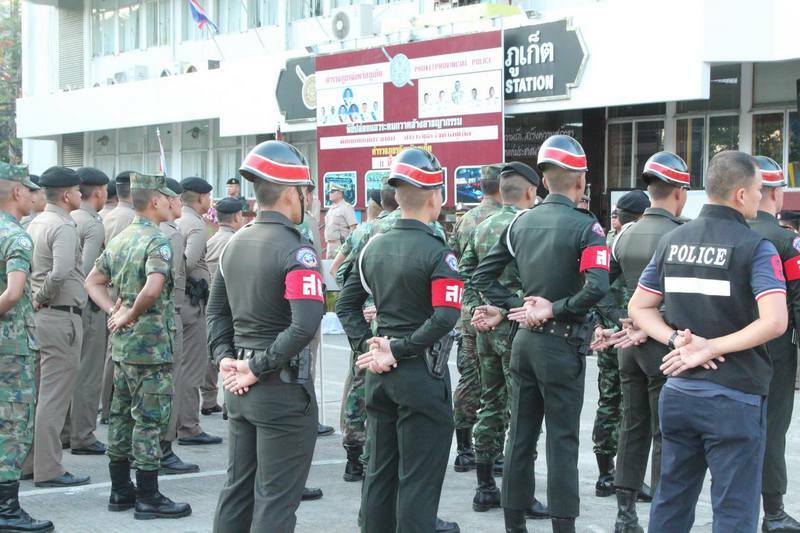 Joining the assembly were officers from the Phuket Provincial Police, Tourist Police, Immigration Police, Phuket Airport Immigration Police, Marine Police, Phuket Forensic Division, Highway Police, Phuket Special Branch, military personnel, administrative officers and public volunteers. “We are ready to look after the safety of residents and tourists ahead of the election on March 24,” Maj Gen Wisan said. 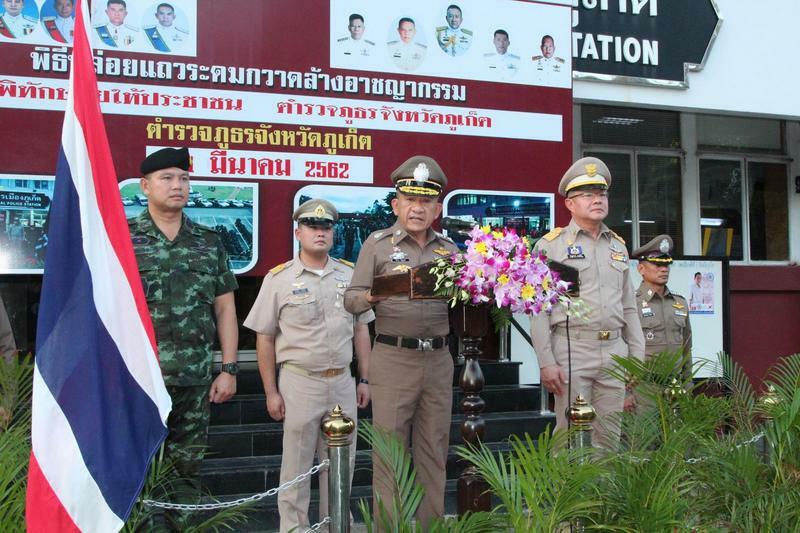 The campaign was being held “in accordance with the policy of the Royal Thai Police and Provincial Police Region 8, who are ready to cooperate to ensure the safety of life and property of people and tourists, including preventing and suppressing all forms of crime during the election of members of the House of Representatives, which will be held on March 24,” Gen Wisan said. 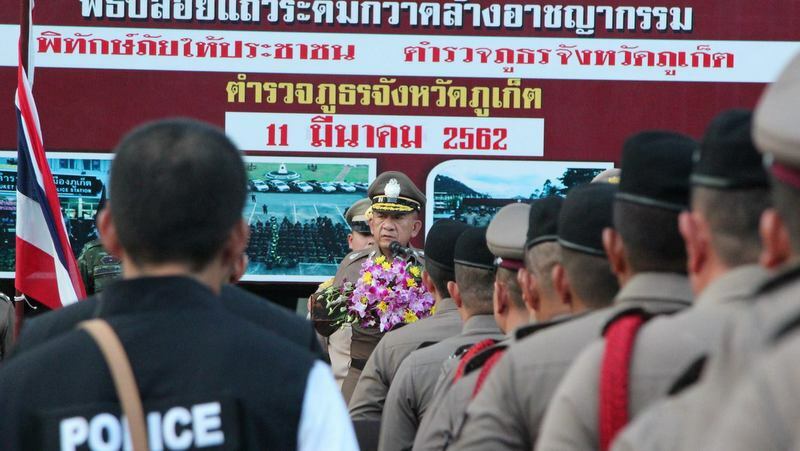 The security boost comes follows officers already ramping up patrols and security checks in the fallout from the pipe bomb attacks in the Southern Thailand provinces of Satun and Phattalung on Sunday. Col Santi Sakuntanark, the commanding officer of the Royal Thai Army contingent stationed in Phuket, has publicly assured that Phuket is believed to not be a target following the bomb attacks, which Defence Minister Gen Prawit Wongsuwon said were likely conducted by people who “lost benefits and wanted to shake the confidence in the government”. Prime Minister Prayut Chan-o-cha on Sunday expressed his concern over public safety and the public to not panic as the situation remains under control. Hope coming days we also will read in Thai press about the 'World Freedom Day' on March 14th..
Let's hope the junta general prime minister  and his cabinet pay attention to it. Is the pre election security campaign going to support it? And reading:" and the public to not to panic, situation is under control". What panic, what to control?